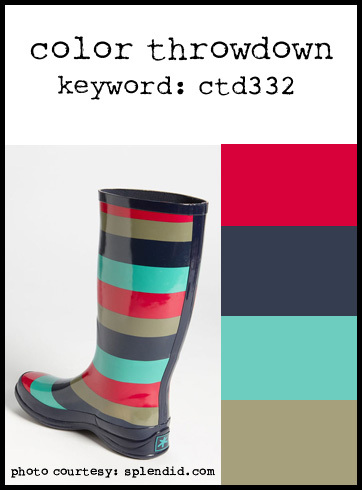 I'm sharing my Color Throwdown card for the week today. Wait until you see this week's color palette. It just sort of makes me smile! I am once again falling in love with the foiling technique. I even bought a more powerful laminator and the foil is sticking perfectly now. The branch and the lettering are both made with a beautiful aqua foil, but there wasn't enough sun shining to get the perfect picture of that. I love the simplicity of this card. Just the foil and a few gems. Perfect pairing! I can't wait to see what everyone did with this challenge. And you should play along this too. You can click right here for the link. Super cute card Susie. love the simple image with the gems. The framing (layers of panels) look wonderful. Thank you for playing along with us at The Color Throwdown.